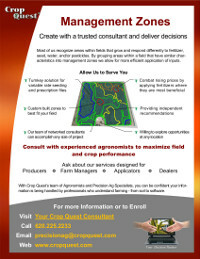 Crop Quest will custom design a variable rate seeding program to meet the needs of your fields. In some cases this may be simply automating the rate change between an irrigated circle and dryland corners. Others may wish to vary the rate across zones within the field. 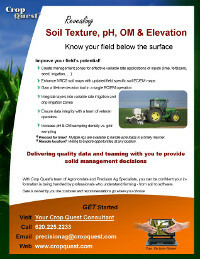 In either case, we can provide expert variety knowledge with various data layers (Yield, EC, RTK Elevations, etc.) 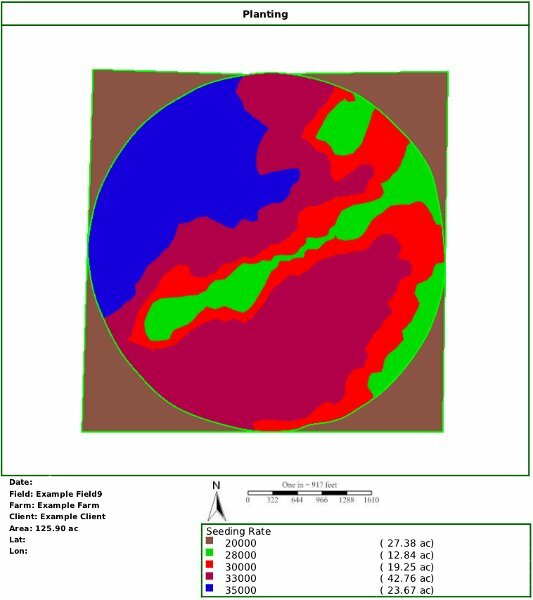 to produce a variable rate seeding prescription tailored to your fields.